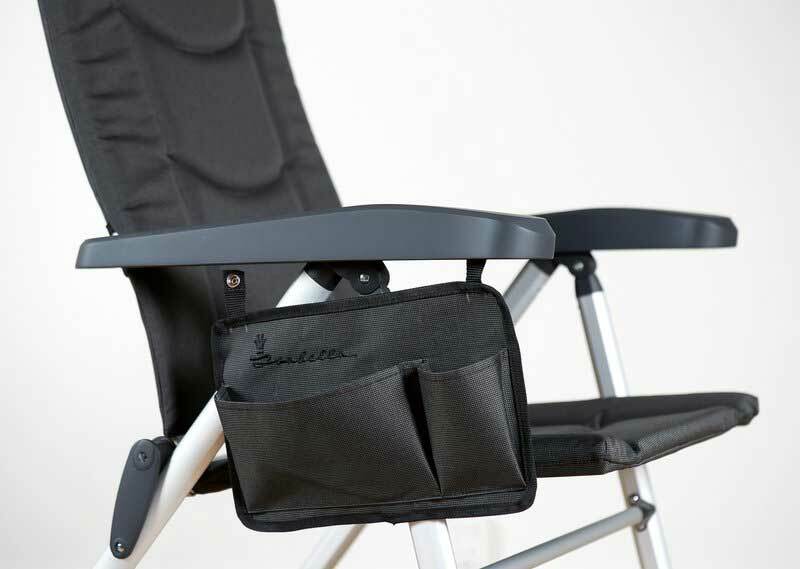 The Isabella Side Pocket for Chair is a handy and essential accompaniment to your Loke or Thor Chair. If you want to totally relax, you don't want to be getting up and down all the time to get your book, mobile phone, sun cream or water bottle. 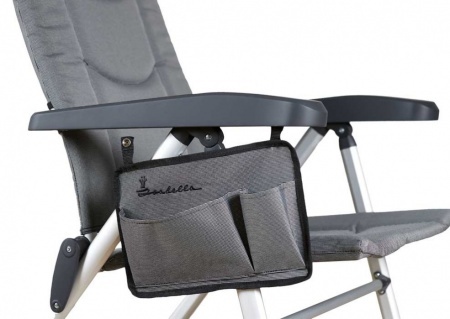 Stash them in the side pocket, put your feet up and relax and enjoy the sun. 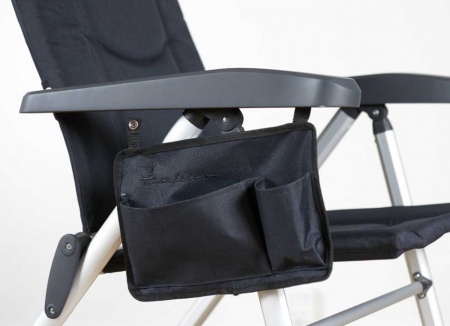 They can be attached to either side of the armrest and use snap fastenings. You could splash out and get one for each armrest. There is a larger compartment suitable for a book and a narrower one suitable for a drinks bottle. The Isabella Logo is embroidered in black on the side of the pocket. Available in Dark Grey, Light Grey and Blue. Attachments: Snap fastenings under armrest. Fits either armrest.